Established in 2006 Orbit Biotech has been contributing to the biotechnology & life sciences industry by providing highly skilled and trained biotechnology professionals, trained in specialised labs and by experienced trainers. Orbit Biotech is committed to 100% job assistance to all the students who have completed the biotech industrial training program from the last 10 years. Industry specific Job oriented program with guaranteed job placement in the best of biotechnology & pharmaceutical industries across India & Abroad. Orbit Biotech has conceived & developed several startups & innovators helping them take their ideas from shelf to life. Coveted as the best biotech work-space to work & to collaborate. Students in B.Pharma & M.Pharma & Pass out students. Comprises of an independent research project based on the R&D work going in the company. Experience of 30,000+ training hours and counting, Empower is the most complete and trusted biotech training partner. Empower program is a loaded biotech program not only to equip you with the best of the biotechnology practical skillset but also to change your perspective from a biotech student to a biotech professional. I don’t really know what else to say. This is the Best Biotech Industrial Training Program I have ever attended. The concepts I learnt here actually proved to be the foundation stone of my biotech career. After doing my internship at Orbit Biotech my interest in the field grew many folds which was somehow going down. Today I am a successful biotech professional and even when I do my PhD work today, I use the concepts and the practical skills I learnt during my internship in graduation at Orbit Biotech. I would strongly recommend this program for those seriously thinking about a biotech career. Attending this program was one of the best decisions I made during my graduation. Initially I was not not very much comfortable handling the lab equipments and apparatus independently. But after attending this program I am confident in handling all the major equipments independently and my practical skill has increased. 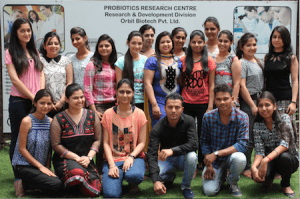 The best thing I liked about Orbit Biotech is that the trainers here are very friendly and this makes this place the most sought after place by all the students to do their training. The things I didn’t learn in my college because of my hesitation to ask questions to my teachers was not here. I could easily put all my queries to the trainers here who were knowledgeable and patient enough to explain everything to me in a friendly manner. 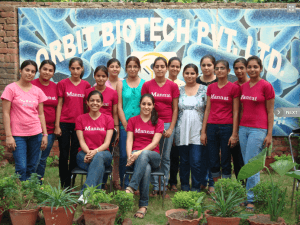 My teachers and seniors recommended me to do training at Orbit Biotech. Well after doing my training here I can say that I learnt far more than what I had expected. 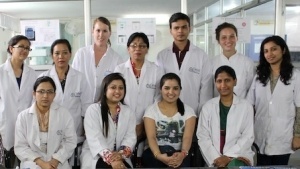 I am very confident to take biotechnology as my career after having a good knowledge from this place. 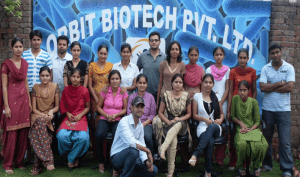 My training days at Orbit Biotech were one of the best days of my college life. There are so many thing about Orbit Biotech that makes it the best training company in India. I have come all the way from Pune only to experience the best technical training under the highly skilled trainers. The best thing about Orbit Biotech is its staff. They are more like friends and there is never any hesitation in taking any question or query to them. The company atmosphere is such that each and every person in the company is eager to help the interns to make their learning experience the best. I did my research project at Orbit Biotech in Probiotics and today I am working in a leading neutraceutical company. The practical knowledge I gained at Orbit Biotech helped me get my first break. After some years may work for some other company but the practical knowledge that I gained at Orbit Biotech will remain with me for life time.